A team of about eight to ten volunteers are instrumental in activities leading up to and on the day of the walk. · Several weeks prior to the walk, they travel to San Francisco to do a pre-hike. o They walk the entire route so that they become familiar with it. They also serve to verify the route directions. · Some help organize Sponsored Carpools. o Some take care of the sign up and issuing of badges. o The participants are divided into several groups. 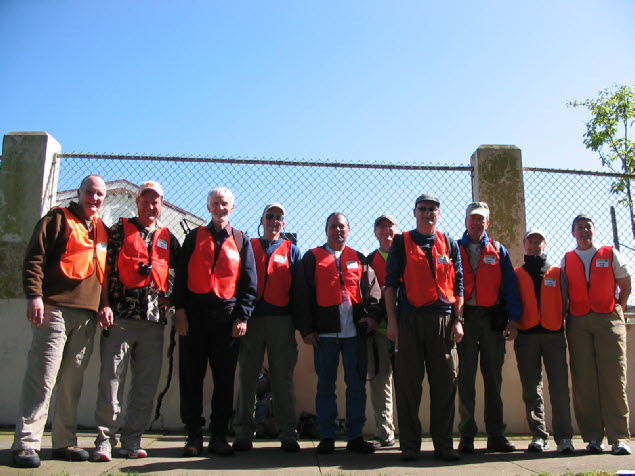 Pairs from the team are assigned to each group as guides, modeled on the method used by Bill and Dave on their Sonoma County walks – one in front and one in the rear.